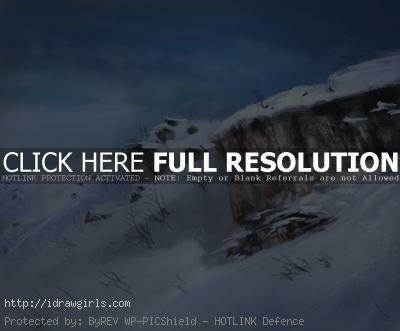 How to paint snow landscape environment concept digital painting. 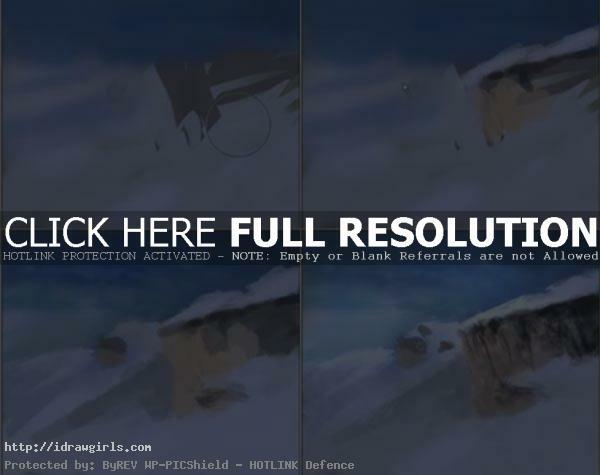 This video tutorial shows you how to draw and paint snow rocky mountain environment concept scene video demonstration. You can also find step by step tutorial by scrolling down further. The step by step will make it easier for you to understand digital painting. We will begin from laying color foundation then start painting each element from snow, rock, cliff, sky and cloud. The painting method we use rely heavily on light and shadow. Because light and shadow is essential to all things visual, without them we will not be able to see anything. So it doesn’t matter what you are trying to paint, all you have to do is mainly observe how light effect your subject and paint from there. Step one, lay down the base color very loosely and try to identify the area of each element with correct measurement. Step two, now we are blocking in shape for painting then we can also apply hard edge, soft edge and loose edge. Step three, at this stage I am assigning value to the previously drawn shapes and make them into cliff or patch of snow hanging off or some rocks. Step four, we can now finish the painting by refining and clean up the image for the final concept painting. Watch the painting video tutorial for more in depth detail instruction. could u make a tut for clouds pls?? The banner link is right under the video? The right column botton link? The banner on top of the blog? There are three links there.